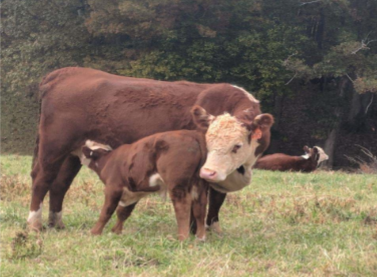 Artificial insemination (A.I) is a great way to improve the management of your beef herd. There are many benefits to A.I, which includes a shorter calving season, reduced cost, breeding for known traits, and reduced injury to their cattle to name a few. The bottom line is that it allows a producer to bring the best genetics available into their herd with a reduced cost and risk. Yancey County Cooperative Extension is partnering with Shannon Roberts of Roberts Cattle Service/ABS Global to conduct an A.I workshop. The workshop will include two evenings of lecture and one day of hands-on work. Participates will leave with the skills and knowledge to pursue an A.I breeding program on their operations. The lecture portion of the workshop will be held April 4th and 5th at the Yancey Senior Center from 6-9 p.m. The hands-on portion will be Saturday, April 6, 2019, beginning at 9 a.m. at a farm location TBA. The cost of the workshop is $450 per person (or couple). Since space is very limited registration and a $225 deposit is required by March 8 to secure a spot. Registration is on a first come first serve basis. A light meal and refreshments will be served each day.